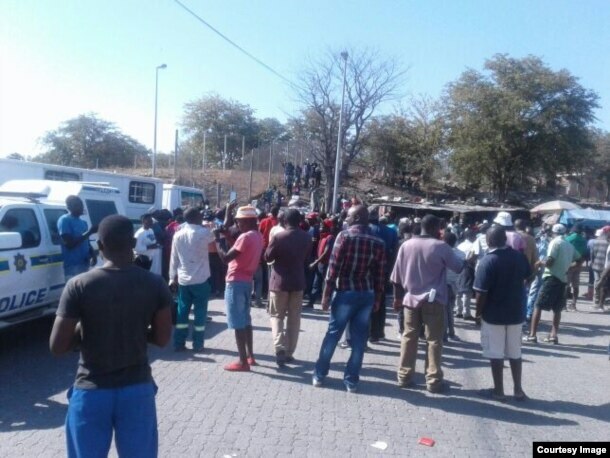 Zimbabwe’s Beitbridge border post has been shut down following protests over the imposition of an import ban on various commodities. South Africans have joined the protest at the country’s border post resulting in traffic jams that have crippled operations. Promise Mkwanazi of Tajamuka-Sesijikile political protest group said they are taking part in the peaceful demonstration in order to force the government to reverse the ban, which was effected today after being temporarily suspended following similar skirmishes a week ago. Zimbabwe, which is struggling to revive a fast-declining economy, imposed the ban in an effort to boost production of local commodities. The Beitbridge border post in Zimbabwe’s Matabeleland South province was shut down today after the government effected the import ban on basic commodities. Goods that now require a permit to be brought into the country include coffee creamers (Cremora), camphor creams, white petroleum jellies and body creams and goods categorized as builders’ ware like wheelbarrows structures and parts of structures of iron or steel (bridges and bridges section, lock gates, towers, lattice masts, roofs, roofing frameworks, doors, windows and their frames and threshold for doors, shutters, balustrade, pillars and columns) and plates, rods, angles, shapes section and tubes prepared for use in structures of iron and steel ware, were also on the list of the restricted products. The government argues that Statutory Instrument 64 of 2016, which was formulated by the Rhodesian government in 1974 as a way of countering sanctions, is a timely measure to reign in the ballooning import bill. It has been supported by Buy Zimbabwe Campaign, which promotes the purchase of local products.